In order to improve human resources Economics and Business Dance Club, this year as in previous years has done an exercise routine. This year, regular exercise is divided into two sessions of exercise routine every genre into the respective policy division head of every genre and the second session of the joint exercise routine performed at least once a month. In a joint practice session, all genres will learn together, to exchange knowledge and performance capabilities of each genre. Exercise routine each genre performed each week by adjusting the empty days of each member of the genre. There are three genres are now in EDC, namely the traditional genre, genre Modern and Cover are merging because of their lack of human resources if no delegates race or job, and the last is the hip-hop genre. Each genre has its own coach, even a genre that had combined to have two coaches in the end. Coach we choose also through many pertimbagan and several meetings at the beginning of the period. On the cover there Devinta genre Natalia Sari. The main consideration of BPH (Daily Management Agency) together kodiv Modern is that he had gone through training genre cover a number of times in the previous period. In the hip-hop genre, pelatinya is Eko Prasetyo. In the modern and the traditional genre, we select a coach who comes from the studio so that each already knows the capabilities of each. Namely Vicky Oktavian the modern genre and genre tradi Anihandayani as coach. In each exercise routine per genre there are some rules and how to exercise on their own. 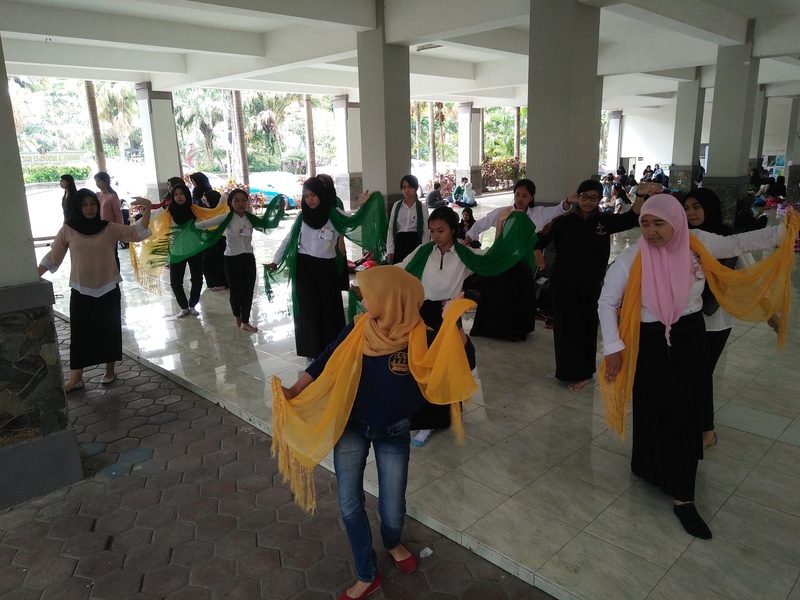 For example in the tradi genre, because there are too many human resources that kodiv decided to membagiya in small groups and of each group is required to practice the compulsory dance with tutor sister forces and training conducted outside of traditional training schedule with the manager. Exercise with a small group aims to enrich the number of dance movements can be controlled so that when the children asked to fill out a traditional genre event, not just a dance that diullang again on several occasions. Different activities dilakkukan by genre cover. When he and coach, they are required to practice in the dance studio for the movement of the cover is to be really detailed and exact with the movement covered. Without any additional movement. Beyond schedule with the manager, their new practice in feb area along with modern genre. There is another different genre of hip-hop, for example in the way they apply the penalties when there are late. In this genre, when there is a late exercise they should carry mminuman and ran several times round the basement of the Faculty of Economics and Business. Because as it is known, this genre is expected to have more endurance than any other genre. Alhamdulillah, through this routine exercise otomon agency EDC has many achievements and participation in various activities sertaannya job competitions and dance.